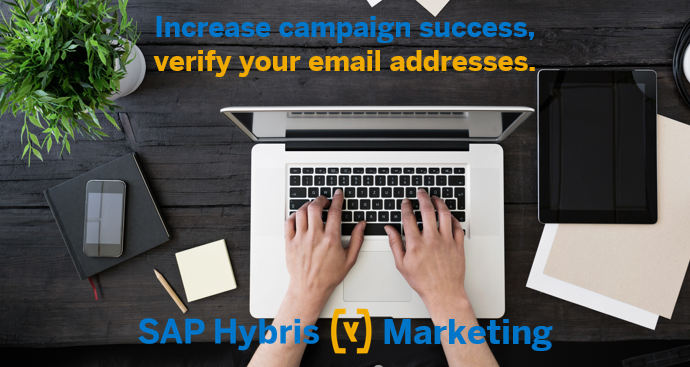 This is an introductory blog to the series of blogs on Verifying E-Mail addresses with Neverbounce for SAP Hybris Marketing Cloud by integrating using SAP Cloud Platform Integration. For the majority of Hybris Marketing projects outbound E-Mail communication is one essential part of the project`s scope. On SAP Hybris Marketing Cloud we can aggregate and maintain data from multiple sources, but who guarantees the validity of E-Mail addresses collected from these sources? To increase the quality of data, in respect to your E-Mail addresses, we have worked with Neverbounce, a service provider for real-time email verification and email cleaning services. This blog post gives you an idea on how to validate your E-Mail addresses on SAP Hybris Marketing Cloud using the Neverbounce services. And see how SAP Cloud Platform Integration can leverage integration scenarios between SAP Hybris Marketing and Non-SAP Services. Learn how to build an end-to-end integration Scenario with SAP Hybris Marketing Cloud and SAP Cloud Platform Integration. Check out our blog posts by searching for the tags assigned to this blog. Your SAP Hybris Expert Services – Marketing Practice team. P.S. Antonio Morais wrote an excellent blog managing hard bounces using manual import/export capabilities of SAP Hybris Marketing Cloud and Neverbounce. You can find his blog post here.